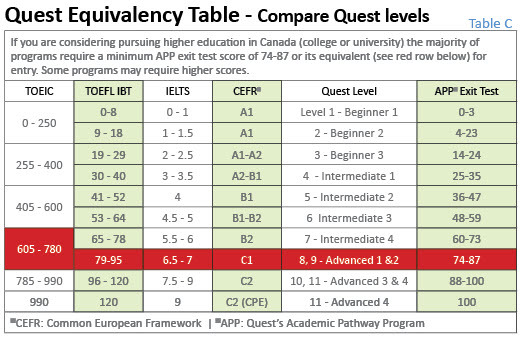 Core English and Focus on Communication are Quest's foundation programs for students looking to learn general English. 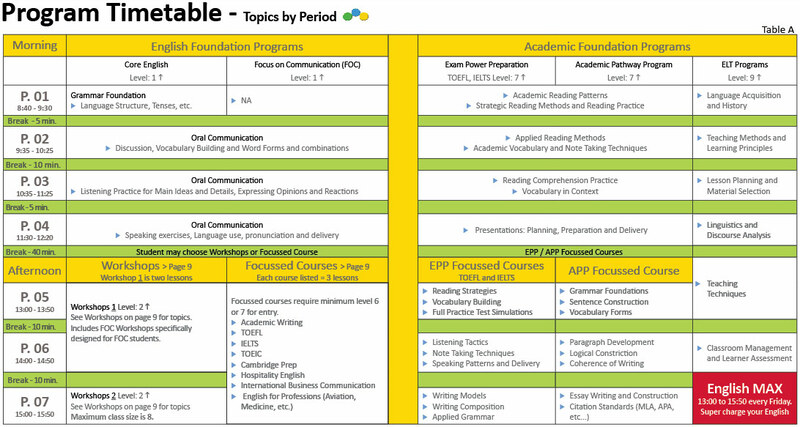 Core English+: Our foundation program offers a comprehensive communicative approach to learning English. The objective is to rapidly improve your English fluency through the development of the four essential language skills - speaking, listening, reading and writing. 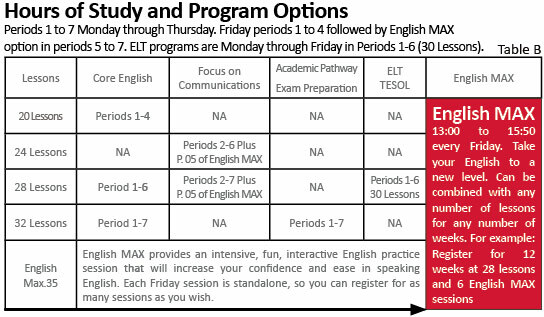 The +: The mornings (periods 1 to 4) focus on developing core English skills in language structure and oral communication. The afternoons (periods 5 to 7) offer the choice of Elective Workshops (which can be changed weekly allowing you to customize the program to your needs) or Focussed Courses (higher level students only) where you can concentrate on areas of special interest and customize your studies to meet your needs. Focus on Communication (FOC): Develop confidence, increase word power and improve pronunciation. This course is designed to help you communicate effectively and with ease in a wide range of situations from social settings to debates and presentations. FOC combines the morning oral communication periods (Periods 2, 3 and 4) with select afternoon workshops designed especially for FOC students, such as Power Speaking and Debating. You can change your workshop topic weekly allowing you to better customize your studies to your individual needs. In addition to class work, this course includes one free Chat Buddy session (3 to 5 hours per week) per month. Your Canadian Chat Buddy will help you to practice your conversational skills outside of the classroom and become familiar with Canadian life through a variety of social activities. Our foundation English program provides students with great flexibility in terms of hours and weeks of study. At 28 lessons per week students may take one elective workshop. At 32 lessons per week students may take 2 workshops or 1 focussed course.